In Running the Rift, Benaron brings the period leading up to the Rwandan genocide beautifully and painfully to life. What is particularly interesting about Jean Patrick as a character, is that as a child he was sheltered from the Hutu-Tutsi animosity by his idealistic father, who believed such ethnic rivalries to be a thing of the past. His father’s death in a freak accident, though, brings a lifting of the veil over Jean Patrick’s eyes. Before long they are being harassed, even in their home, the community where they have lived so long. As violence becomes more and more pervasive in the lives of Tutsis and the Hutus who do not persecute them, Benaron builds the tension and the personal stakes for Jean Patrick. Will he be injured by Hutu extremists so badly he can’t run? Will his family be hurt or killed? Will this conflict tear him away from the woman he loves? The story Benaron tells is gripping, and she tells it in a very personal and engaging way. It is easy to sit down with Running the Rift and read for 100 or more pages at a time. Jean Patrick is a complex and sympathetic character, and the reader cannot help but root for him – and keep reading to make sure he will be okay. 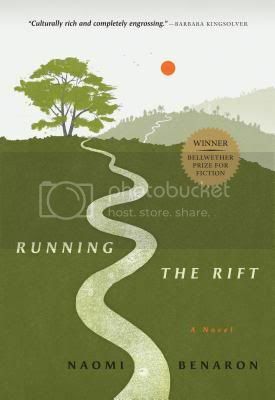 We will be discussing Running the Rift here for BOOK CLUB on Tuesday, January 31st. 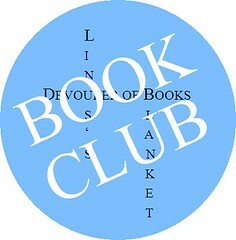 Anyone who has read the book is welcome to participate. This sounds like a book I’d love. How did I miss this title? It sounds fantastic. I’m going to have to find a copy and peek in at the discussion at the end of the month. I’m really looking forward to reading this one! I’m hoping it will be a perfect plane companion this weekend! I think it will be, easy to get lost in! I remember watching a film about the Hutu and the Tutsis. Reading the synopsis for this novel brought back the memories – and I definitely want to read this book.